Norway’s biggest company, Statoil, has once again been under fire this week, now for allegedly “greenwashing,” or trying to gloss over the environmental hazards posed by its main business of oil and gas exploration and production. Environmental activists are calling on Statoil to set new priorities, while accusing Statoil of trying to “greenwash” children into viewing the company positively through a controversial agreement with toymaker Lego. Newspaper Dagsavisen reported this week that around 230,000 people have signed petitions protesting another deal Lego has with oil company Shell, which involves a competition for children in what’s called the “First Lego League.” In it, children aged nine to 16 compete in building robot-like figures that can be tied to renewable energy projects or other types of “green” energy. An estimated 200,000 children have taken part in 70 countries. 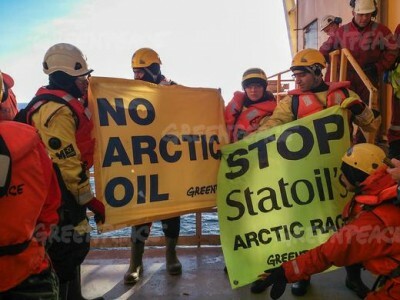 Statoil is also heavily involved in the “Lego League” project, which Greenpeace claims is little more than an attempt to make the next generation think that Statoil is mostly involved in environmentally aware projects. Greenpeace claims companies like Shell do the same. “Companies are greenwashing by leading people’s attention away from the more controversial aspects of their operations,” Åshild Lahn of Greenpeace told Dagsavisen. She stressed that as people learn “more and more” about climate problems and solutions for renewable energy, Statoil continues to invest in controversial projects such as oil drilling in the Arctic and its tar sands project in Canada. The company has, however, recently announced plans to invest in wind energy off Great Britain and it just won approval to start building the Dudgeon Offshore Wind Farm off the coast of Norfolk. The project aims for full production by late 2017, and is expected to provide renewable energy for up to 410,000 households in the UK. Offshore construction will begin in 2016. Statoil rejects the “greenwashing” label, with spokesman Morten Eek stressing that Statoil is “keen to communicate” its operations and target youth and students. “They’re tomorrow’s engineers,” Eek told Dagsavisen. 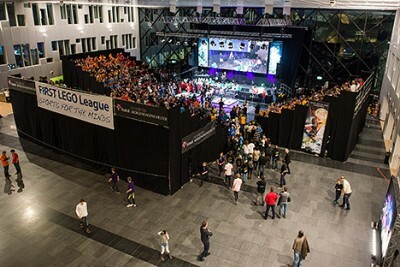 Statoil describes the First Lego League, established in 1998, as an international competition that “introduces young people to the fun and excitement of science and technology while building self-confidence, knowledge and valuable employment and life skills.” Statoil, according to its own website, has been First Lego League’s local partner in Scandinavia since the start and became main global sponsor in 2011. Statoil’s support of sports and cultural events is also a part of its marketing and corporate social responsibility efforts, rather than greenwashing, Eek suggests. Italian oil company Eni also defended its decision to set up a music scholarship in Northern Norway, where it has a base for its Arctic operations. Eni also stressed that its operations have provided “hundreds” of new jobs in the northern city of Hammerfest, where it built a new office building.